7’6″ 1-wt, 3-piece, 1 7/8 oz. The Sage 176-3 Dart is ideal for small stream dry fly fishing. Accurate and ultra-light, it will guide your fly into the tightest pockets. Like the 076-3 I was not able to cast the 176-3 with the Creek line. I can’t wait to see how this rod casts with the appropriate line. Trout LT DT1F just didn’t do it for me on the 176-3, but no fault of the fly rod. There was some speculation at IFTD as to whether a line pairing on a 0 or 1-weight mattered because of the negligible difference in grain weights. 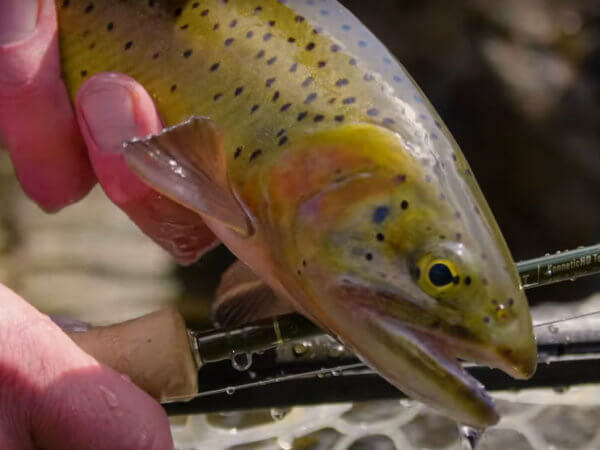 I agree that grain weight matters when considering a proper load on a fly rod, but I believe that taper is the overriding factor in line selection for light line rods. Give me the right shape in a 0, 1 or even 2 and I bet all three would cast well enough with any of the three line weights. With the wrong taper, I bet all of them will cast in a forgettable manner. Stay tuned for further information. I look forward to spending more time with this slim rod and a Rio Creek WF1F.